JOEY BADA$$ RELEASES HIS HIGHLY ANTICIPATED DEBUT ALBUM B4.DA.$$. 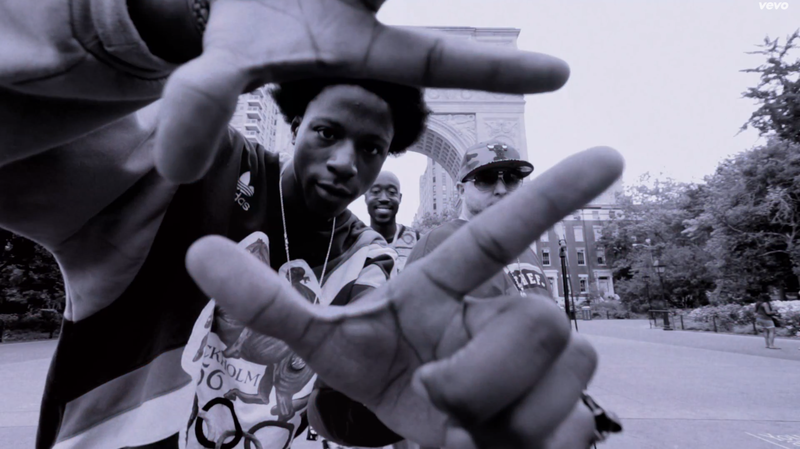 Joey Bada$$ is arguably the most relevant young rapper to bring a throwback, 90’s style in his music. With a loyal fan base that allowed him to embark on a world tour before an album release, plus support from pioneers like DJ Premier and Statik Selektah, he seems to be pleasing hip-hop heads both old and new. Apparently, even Barack Obama’s daughter is a fan after being spotted wearing a Pro-Era t-shirt. B4.DA.$$, released on his 20th birthday sets to capture the essence of Joey’s come up from unknown rapper to recent rap stardom. Stylistically, Joey doesn’t stray too far from the sound of previous mixtape efforts. Dusty samples and boom-bap drum patterns provide much of the backdrop to his raw lyricism, whilst the one blatant radio effort is reserved to the bouncy, Kiesza-featuring bonus track. His true spirit shines on songs like “Christ Conscious” where youthful references to Dragonball Z are combined with a vicious flow, mirroring the energy of an early Method Man. More introspective themes are featured on the J Dilla/The Roots produced, “Like Me”. One of the album’s highlights, he seamlessly switches topics from attracting females to social themes including police harassment. Background vocals by BJ the Chicago Kid add a soulful touch to the production, reminiscent of some of Dilla’s work with Slum Village. “Hazeus View” touches on deeper, more spiritual ground, where Joey questions his ability to find faith. Despite opening up about how the death of fellow Pro-Era member Capital Steez affected him, he slightly falters where song concepts aren’t fully hashed out and braggadocios lyrics slip back in. However, his lyrical ability is fully displayed on the DJ Premier produced “Paper Trail$” where he examines how money has the power to both improve his life, but also change and corrupt him. Even with the nostalgic template of the album, Joey manages to build upon his influences and brings a new, youthful perspective of throwback hip-hop to the mainstream. Overall, B4.DA.$$ is a solid album showcasing a young rapper with enormous potential, but one who is still developing his style. Though it is certainly more refined than some of his earlier work, it somewhat feels like a long collection of songs rather than a solid body of work. Nevertheless, it is definitely a strong first step into the game, and a taster of what is to come in the career of the 20-year old. You can stream B4.DA.$$ via Spotify here.